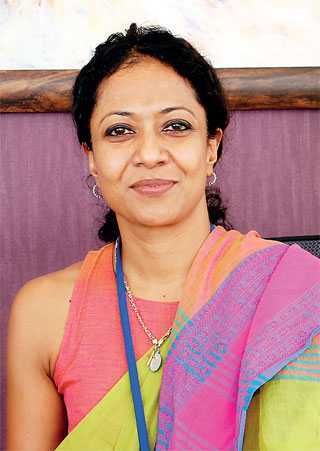 Kasturi Chellaraja Wilson, Managing Director of Hemas Pharmaceuticals and Hemas Logistics and Maritime Cluster has been recognised by the Sri Lanka Parliament as Women Change Maker in Sri Lanka in the Business Category. She joins 11 other prominent and well-respected women in their respective fields, which includes world’s first female Prime Minister Sirimavo Bandaranaike. The inauguration of the campaign was held recently at the Parliament Complex under the patronage of Karu Jayasuriya, the Speaker of Parliament. This campaign celebrating the women of Sri Lanka and their significant contributions both past and present is organised by the Parliament of Sri Lanka; the Women Parliamentarians’ Caucus and the Sectoral Oversight Committee on Women and Gender (SOCWG) in collaboration with USAID’s SDGAP. The overall objective of the campaign is to exhibit a living history of women in Sri Lanka and provide an arena for the Parliament to strengthen the future of women and girls in the country in politics and other spheres in society. The campaign strives to inspire Sri Lanka’s next generation of young women and spark a conversation that will help remind men and women what Sri Lankan women, who make up 52% of the population have achieved so far, and their crucial role in shaping the future.